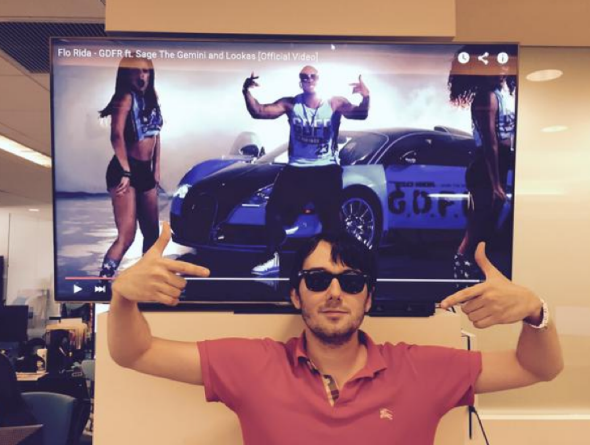 Turing Pharmaceutical’s Martin Shkreli rebrands Daraprim tablets. On Sunday, the New York Times reported on the growing practice in the pharmaceutical industry of companies gobbling up the rights to old, but still vital drugs that treat life-threatening diseases and jacking up the price overnight. The staggering price hikes are then justified as the cost of providing the well-established medicines now rebranded as “specialty drugs.” One such treatment, Daraprim, used by AIDS patients (and others) to combat a potentially life-threatening parasite infection, for example, went from $13.50 to $750 a pill—overnight. Why? On Monday, the world was introduced to the brains behind the Daraprim business strategy, former hedge fund manager and all around good guy, Martin Shkreli. Shkreli, through his company Turing Pharmaceuticals, bought the rights to Daraprim for $55 million in August. The drug was produced for decades by GlaxoSmithKline after being approved by the F.D.A. 62 years ago. But five years ago Glaxo sold the U.S. rights, which then changed hands a couple of more times before being bought by Shkreli. During that period, the cost of Daraprim which had settled at about $1 per tablet began to steadily rise. The latest increase could lead to a financial windfall for Turing. “Medicaid and certain hospitals will be able to get the drug inexpensively under federal rules for discounts and rebates,” the Times notes, “[b]ut private insurers, Medicare and hospitalized patients would have to pay an amount closer to the list price.” In an interview with Bloomberg TV, Shkreli went to great, generally tone-deaf lengths to assure consumers who needed the drug, but couldn’t afford it that they would not be turned away. In other words, we can all chip in and pay him for it. This is not Shkreli’s first foray into trying to wring new profits out of old medicines using the cheap shot justification that R&D’s expensive, even if the bill was footed by someone else and, presumably, already paid in full over the last six decades by American patients.